Check out the Glass Shutter Doors! 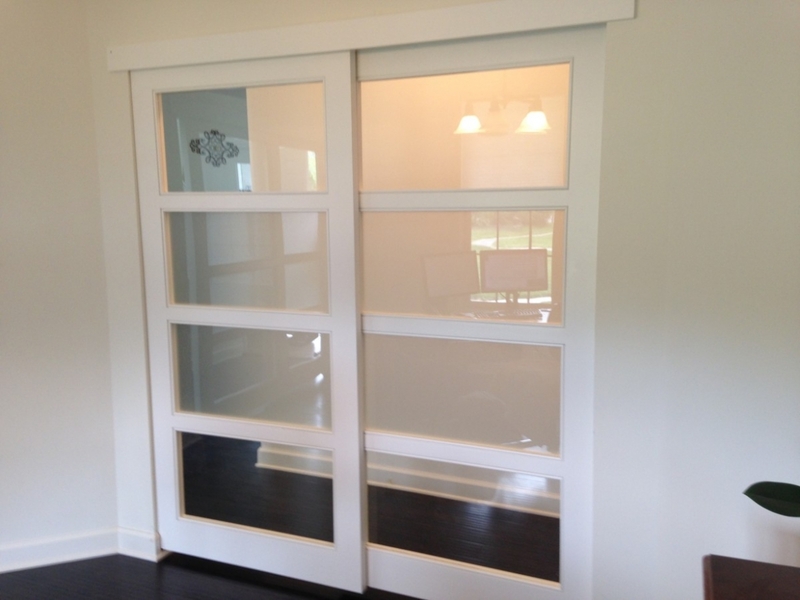 Glass panel by – pass shutters with a variety of glass solutions, can create a unique finish to your space. Custom selected materials can be applied, using a variety of color or textured glass. Specialty etching or frosting can add a custom flair or a company logo. Different wood finishes, paints, stains and wood species can all be integrated into your own style. This could also be implemented as a partition wall system in an office. Multiple panels can be utilized to cover longer runs. Panels could all stack to one side or on both sides. If you have enough wall space the panels could stack on the walls to allow greater openness when stacked back. Privacy from frosted or semi – opaque center panels of glass and clear glass for ambient light penetration at the top and bottom can offer versatility and energy savings. All sorts of customization can make your project uniquely yours. This is not an inexpensive solution, but does give a unique and beautiful look to your home.